Tips for writing good circulate the Internet like La Niña weather systems, or the flu. There’s a batch around the place now, most of these lists have been collated at The Guardian and at BigHow.com. 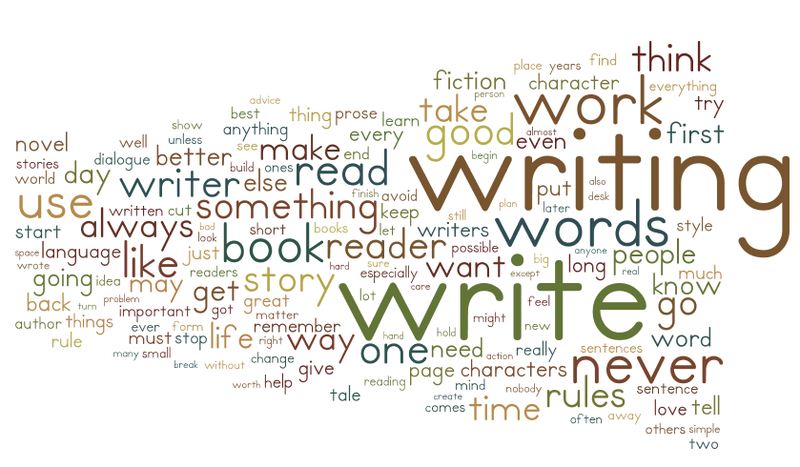 I’ve had a little look through the advice given, and these, by frequency, are the top ten tips from famous, and usually good, writers. Writers who often contradict each other. Which says something about the quality of such advice. Most of the advice is ridiculously obvious, but there’s nothing wrong with stating the obvious. I do think there’s something in some of the tips being held in tension – like “just write” and “write to a meticulous plan” – one is more about honing your voice, the other is more about producing something with it. I also think there’s something in most of these for any communicator who uses words. I tried to capture the essence of most of the advice given when I was collating these. And I’ve ordered this list by frequency, rather than in logical, or chronological, order. The numbers in brackets represent the number of times something came up. Know your audience, and yourself. What is the message of the New Testament?